Please Note: While these boards work great, the finish on them is not perfect. Two chips had to be removed due to factory error and jumpers put in their place. They work 100% - but are not of the finish quality of our other products, for this reason we are selling them at a huge discount. 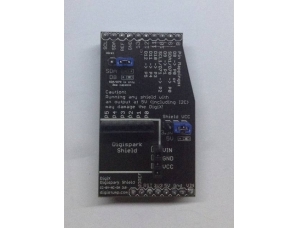 The Level Shifting Shield allows you to use older Arduino shields that are not 3.3V compatible. 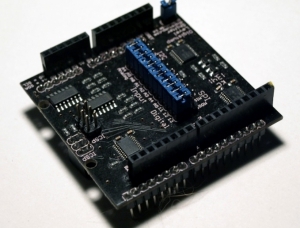 It provides level shifting on all standard Arduino pins, allows you to reroute the SPI and I2C pins, and properly level shifts for those protocols as well. 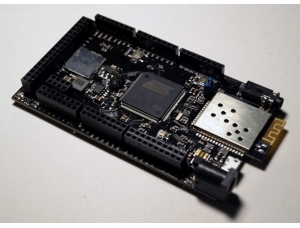 The DigiX Level Shifting Shield can also be used with the Arduino Due, UDOO, Spark Core, Maple, etc to allow them to use legacy Arduino shields. 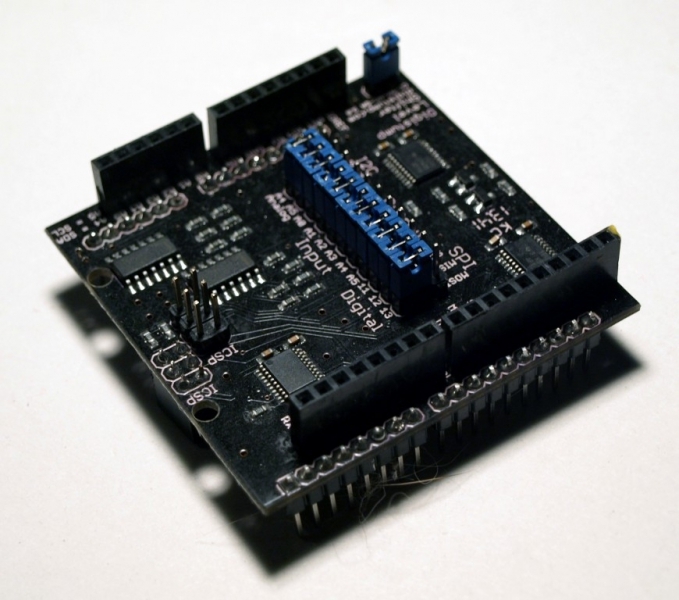 The level shifter is made for shifting logic level signals and is not capable of sourcing large amounts of current for LEDs and similar devices. It can shift for analog inputs as well.